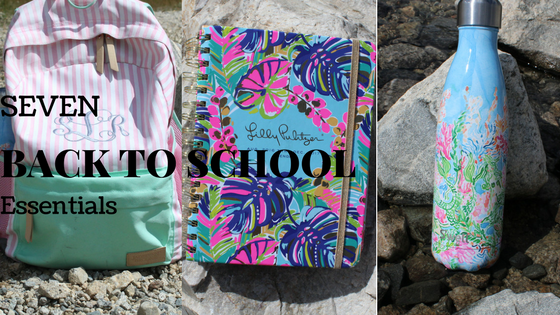 Here are seven non-essential items I think are essential to have for back to school! I am someone who can not live without a water bottle during the school day and those days that I do forget a water are absolutely miserable because we all know that I would rather die from dehydration than drink out of the mono infested school water fountains. Now that I drive myself to school I will be keeping a case of waters in the back of my car for days like that. I love my Lilly Pulitzer Swell bottles which sadly, were limited edition and are no longer sold. But I do love this Swell water bottle (and a monogram sticker would look really cute on it). If you don't want to spend the money on a Swell Walmart sells Swell look-a-likes for under $10, I also found that Tuesday Morning has cute inexpensive metal water bottles. Having a good backpack that is roomy but also screams "you" is so important! It's important to have a backpack that has enough room for all of your stuff and is good quality. In the past couple of years I have been using Jadelynn Brooke backpacks and I love them! Chapstick is a struggle for me. My lips are always chapped and I hate it. I recently started using Burt's Bees chapstick and it actually works! My favorite one is the medicated one but my dad purchased it for me and can't remember where he did so I have no clue where you can buy it but if you find it somewhere I recommend purchasing it. I talked about this in my Back To School Wardrobe Essentials post but had to share it again. Jackets are so important during the school day because if your school is anything like mine, you will freeze your way through the day without one. My favorite jacket for school is this fuzzy North Face. Whether you're in need of a ponytail holder or lotion, an emergency kit is good to keep in your bag. In mine I keep chapstick, tissues, makeup remover, a small brush, ponytail holders, bobby pins, lotion, perfume, and hand sanitizer. At my school we have had a bring your own device policy in the past couple of years where you can use your device in class to listen to music and things like that and in the upcoming year we will all have laptops at school so headphones/ ear buds are a necessity. I'm not one to spend a lot of money on headphones just because I don't think the quality is much better so I use Lilly Pulitzer ear buds that I received for Christmas or the ear pods that came with my iPhone. I have talked about the importance of a good planner many times on my blog (you can click here to read about a couple of the planners I've tried out and you can click here to see how I've organized my planner in the past). For me a planner is an essential for back to school just so I don't forget everything I have going on in my crazy life. Those are a few of my back to school essentials I hope they helped you to prepare for the new school year! You can use my code SLMHS for 15% off the Jadelynn Brooke items I mentioned in this post. YES. All these things are so important! 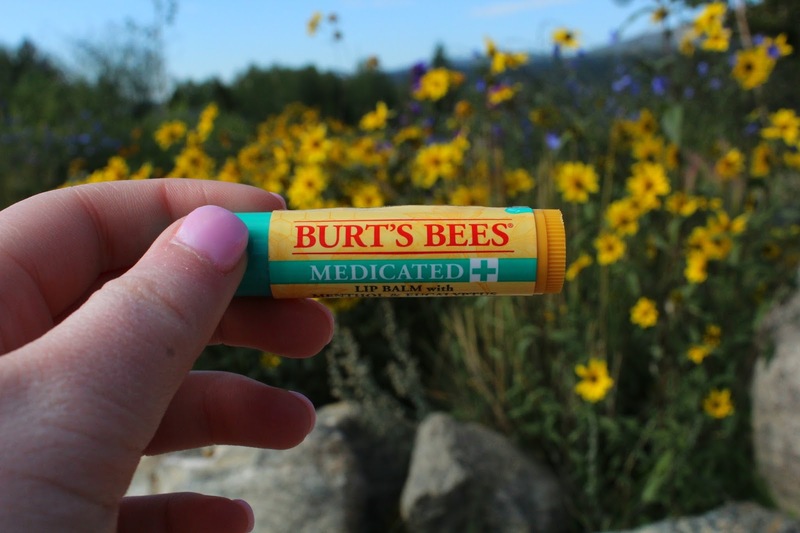 Can't live without chap stick oh my word!